Take your bruschetta up a few levels when you make our cheddar bruschetta recipe. 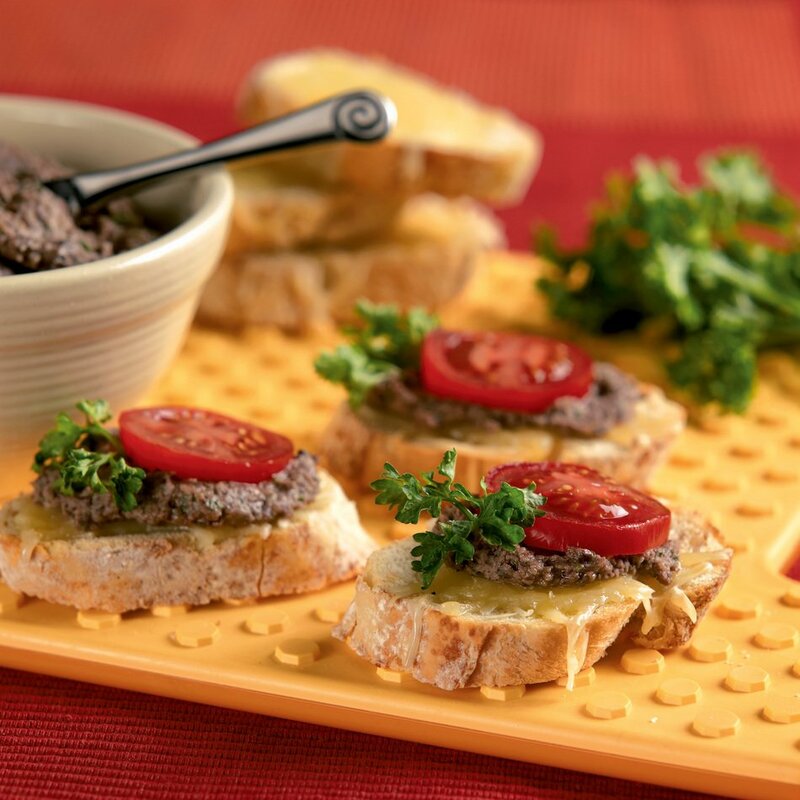 Italian bread slices are topped with a flavorful black bean mixture and grated Cabot Sharp Lite50 Cheddar, making this bruschetta a hit with meat lovers and vegetarians alike! Serve as a crowd-pleasing appetizer or enjoy alongside a bowl of soup to have a satisfying lunch or dinner. Feel free to share the recipe with friends and family on Facebook, Pinterest, Instagram, and Twitter! For 8 servings, preheat your oven to 350°F. Cut Italian bread into ½-inch-thick slices and arrange on a baking sheet. Place in the oven for 10 minutes, or until golden. 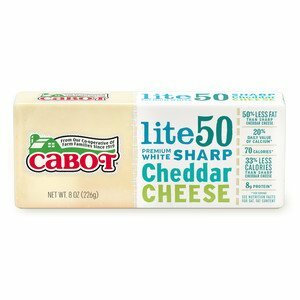 Divide grated Cabot Sharp Lite50 Cheddar cheese among the slices of bread, pressing firmly in place. Bake for 10 additional minutes, or until cheese is melted and toasts are crisp. Set aside at room temperature. Combine the drained black beans, chopped fresh parsley, red-wine vinegar, extra-virgin olive oil and minced garlic in a blender or food processor and process into a puree. If the puree is too thick, add 1 tablespoon of water at a time until the desired consistency is reached. Cover and refrigerate. Just before serving, spread generous portions of the bean mixture on each toast. Top each with a tomato slice and a sprig of parsley. If you love a good fruit bruschetta, you’re going to love our Fresh Berry Bruschetta with fresh blackberries, cheese and honey! As a co-operative of over 800 farm families, our goal is to make the highest quality and best tasting dairy products you’ll find. We’d love for you to rate and review this black bean bruschetta recipe once you’ve made it! CUT bread into ½-inch-thick slices. Arrange on baking sheet and place in oven for 10 minutes, or until golden. DIVIDE cheese among slices, pressing firmly in place. Bake for 10 minutes longer, or until cheese is melted and toasts are crisp. Set aside at room temperature. COMBINE beans, parsley, vinegar, oil and garlic in blender or food processor; process into puree. If puree is too thick, add water a tablespoon at a time to reach desired consistency. Cover and refrigerate. SPREAD bean mixture generiously on toasts, just before serving. Top each with tomato slice and portion of parsley sprig.